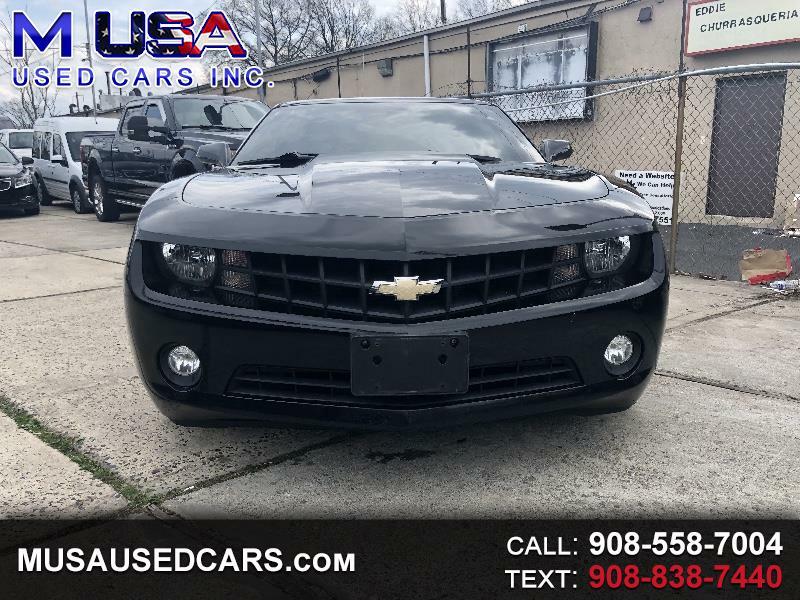 Used 2013 Chevrolet Camaro Coupe 1LT for Sale in Elizabeth NJ 07202 M USA Used Cars Inc.
(20) Photos Printable Brochure Apply For Credit Schedule A Test Drive Text Us About This Vehicle! M USA Used Cars Inc. WELCOME TO EVERYONE GUARANTEE CREDIT APPROVAL!! NO CREDIT? BAD CREDIT? FILED FOR BANKRUPTCY? SELF-EMPLOYED? COME TO US and we will help you get the car you want . Here at M USA USED CARS INC. We Appreciate Your Business! We are looking forward to seeing you soon at our dealership ,we are located at 310 RAHWAY AVE ELZABETH NJ 07202, Call 908-558-7004 to schedule an appointment. We are proud to offer Guaranteed Credit Approval regardless of your Credit History (Disclaimer) price listed above does not include taxes, plates, registration, bank fees, dealer fee, and any other applicable charges. please contact with any questions regarding above mentioned. We are a first come first serve dealership, if you interested in a vehicle we can hold the car with an in person refundable deposit. We will help you reestablish your credit rating when you finance a vehicle with us. We are experts at financing your pre-owned vehicle, no need to look elsewhere. All prices are subject to change based on market value and prime lender approval and credit approval ,for any questions call 908-558-7004. At M USA USED CARS INC have you're pick of over 60 Vehicles. (Regardless whether you can pay by cash or finance the following terms of sale apply to all listings unless otherwise noted. We reserve the right to end this listing should the vehicle be no longer available for sale. All applicable state and local taxes and dealer fees may apply. Prices can be modified and adjusted weekly, daily and sometimes hourly due to inquires, bidding and website traffic on any particular Vehicles. Check with a salesperson when you arrive to confirm accuracy of the information given. Neither the dealer nor this information's provider is responsible for misprints or other errors regarding this data. Actual mileage will vary with options, driving conditions, driving habits, and vehicle's condition. Message: Thought you might be interested in this 2013 Chevrolet Camaro.